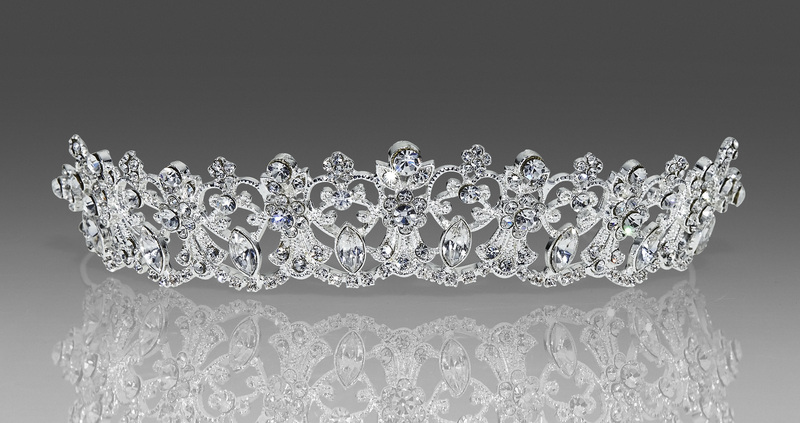 Inspired by the recent Great Royal Wedding, this lovely tiara is reminiscent of Kate's scalloped headpiece of glorious diamonds! 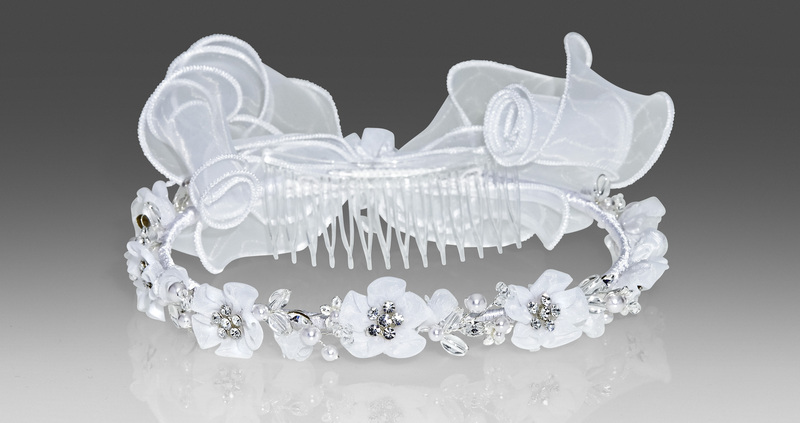 The headpiece says it ALL, sampled with a 2 tier merrow edge veil. 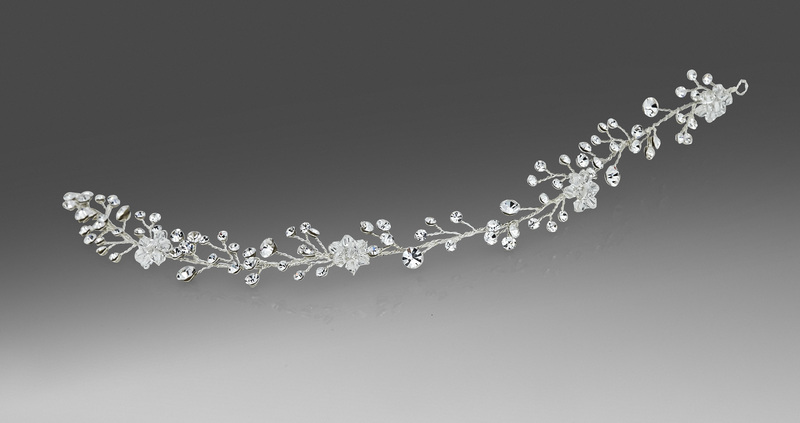 This flexible vine is composed of clear and silver crystals and proves to be the most versatile piece! 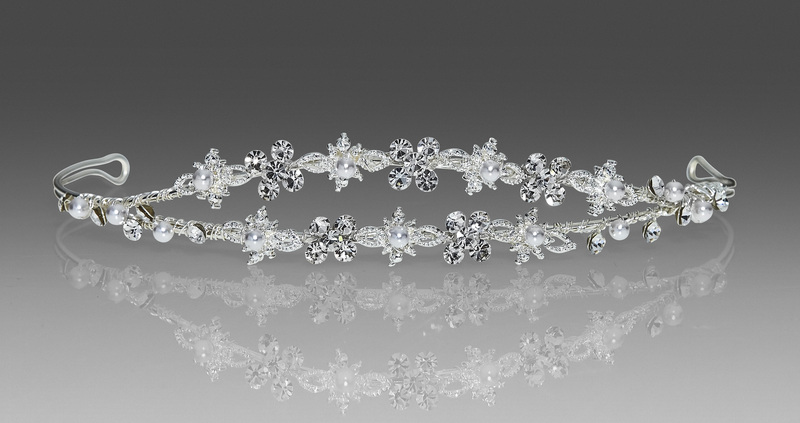 It can be used as a bunwrap OR as a headband, and it's lightweight. 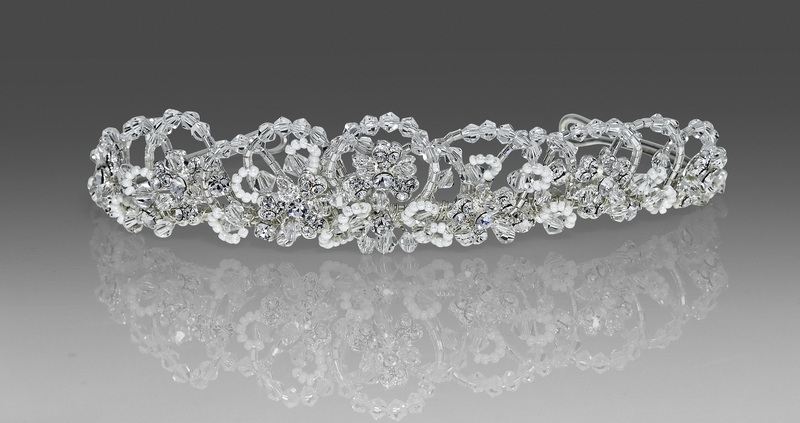 This piece can accompany any veil on a seperate comb. 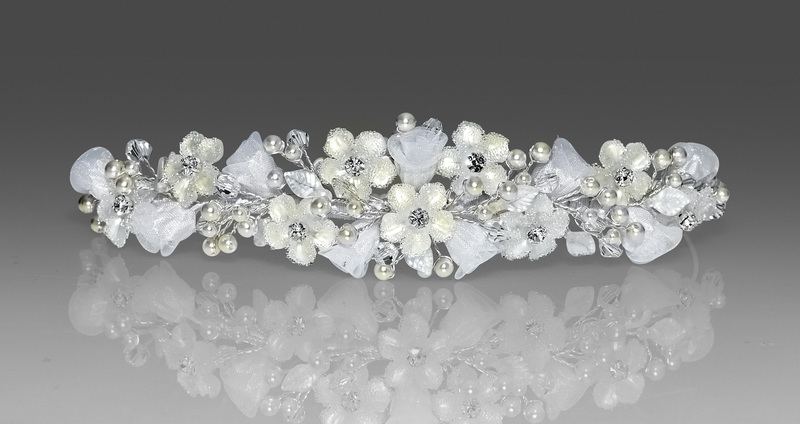 Two tiered delicate tiara sparkles just enough with the rhinestone flower motifs and pearl accents. Sampled with a 2 layer silver merrow veil. 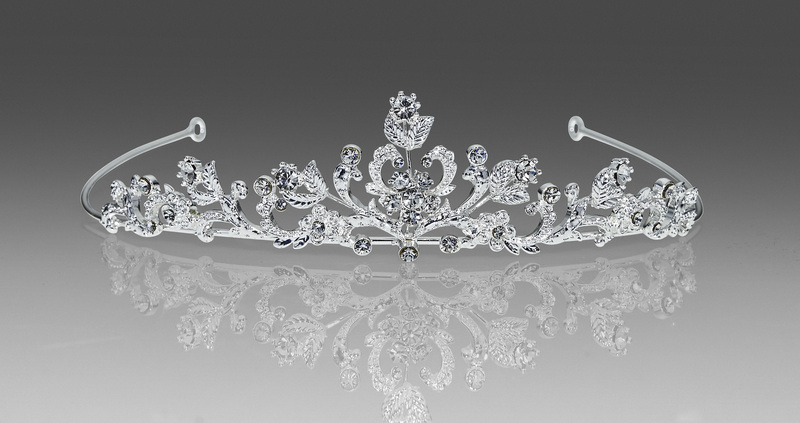 The classic 'Cinderella's Carriage' inspired tiara. All Crystal. 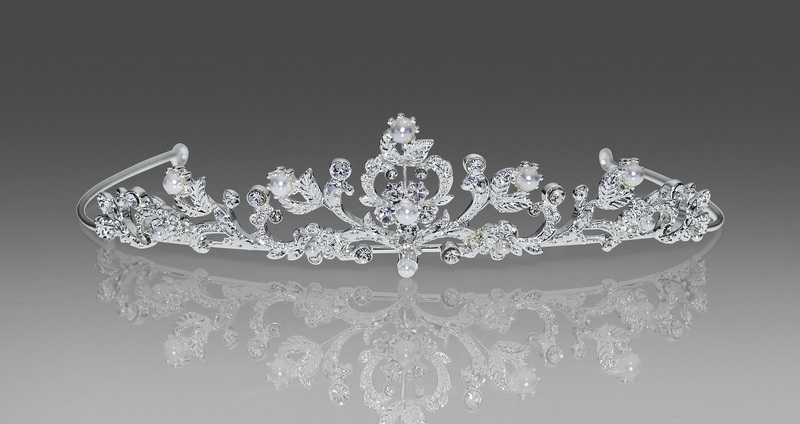 A delicate tiara comprised rhinestones. 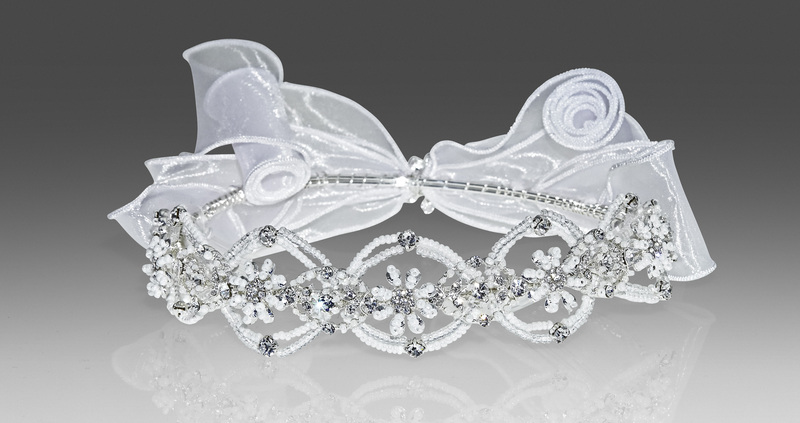 Sampled with a 2 layer merrow edge veil with pearls at the top. 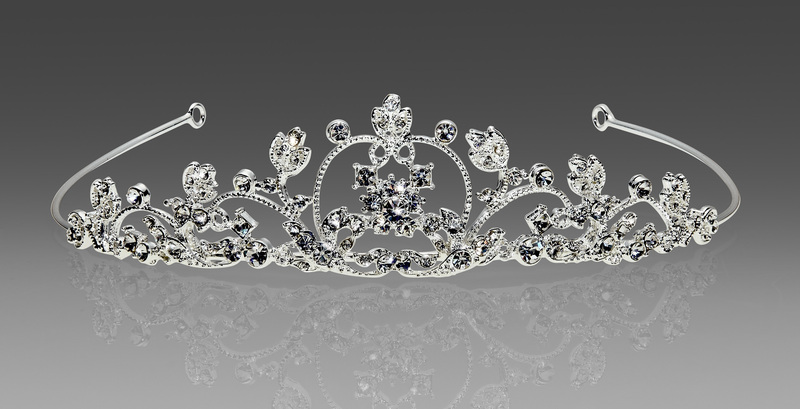 Also available with pearls and rhinestones.